Captain Toad: Treasure Tracker is taking those goofy little puzzle segments from Super Mario 3D World and expanding them into a $40 video game! For that price, Nintendo must have seriously slammed its collective head against its desk to come up with a lot of stages. To get a better feel for the kind of puzzles you'll be playing, Nintendo has provided ten minutes of gameplay footage featuring a Japanese daughter and her mom as they work together to help Toad find his prizes. You see, Nintendo is all about the quality of life. It even makes you a better parent! Mine carts, haunted houses, cloud stages. Everything you'd expect from iconic Mario imagery is here. Looks fun and charming enough in a way that only Nintendo knows how to be, but I'm still not seeing how this full game is going to be better than Crashmo World. More puzzles, more stages, and a different variety of approaches are my guesses. If you enjoyed the 10 minute segment, Nintendo has also broken it down into two 30 second TV spots which are popping up during Japanese television commercials these days. Check them out below. 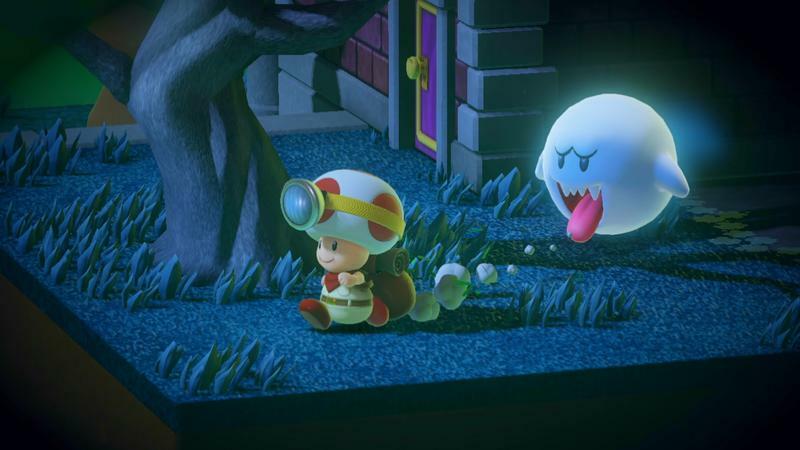 Captain Toad: Treasure Tracker will be released exclusively for the Wii U on Dec. 5.